The first KO games on the international stage in 2019 were not necessarily a football treat. On Tuesday evening, the fans were offered in the first two knockout matches in the premier class football-lean diet. On Thursday, the UEFA Europa League is back in the spotlight. It comes to a very exciting duel on the Iberian Peninsula. The Portuguese top club Sporting Lisbon meets Villarreal from Spain! The Portuguese were in the group stage, the strongest runner-up (with 13 points) and certainly no wishless group winners. Villarreal remained in the Rapid Group without defeat, but could not really convince. The European League is currently only playing the second fiddle with the Spaniards due to the precarious situation in the local LaLiga. It can be assumed that the yellow submarine is operating in the Estadio Jose Alvalade with a B-team. However, the pressure in the Europa League is substantially lower. Nevertheless, it is clear that the home side from Lisbon are traded as a favorite. For a home victory of Sporting Lisbon against Villarreal the odds are in the range of a 2.20! The game starts on Thursday evening at 21:00. It was already mentioned that the green lions from Lisbon were the best runners-up in this year’s UEFA Europa League group stage. The team was able to collect 13 points and thus took second place behind Arsenal. With 13 points Sporting Lisbon was even better in the group stage than six group winners who did not reach this mark. Thus Sporting Lisbon has survived five times the group phase in six attempts. In addition to these five participations in the knockout phase, Sporting Lisbon was also represented last year as a CL relegated in the round of the last 32 in the Europa League. With three wins and three defeats in this phase of the competition, the balance sheet is completely balanced. However, the home record of Sporting Lisbon in the Europa League is impressive. So far, the Portuguese top club has played 34 games and has won no fewer than 22 games. Only four home games were lost. In 2018/2019, Sporting Lisbon were defeated by Arsenal alone in front of their home crowd. In view of these numbers, a prediction on the home win between Sporting Lisbon and Villarreal is quite an interesting option. Dutch midfielder Marcel Keizer has been head coach at Sporting Lisbon since mid-November and has been crowned winner of the League Cup by his first title win. In general, his record after 20 games with an average of 2.20 points per game (14-2-4 balance sheet) is positive. Most recently, however, Sporting suffered two bitter derby defeats against great arch rivals Benfica (league and in the first leg of the Cup semi-finals). The small dry spell was ended last weekend. The dress rehearsal for the duel against Villarreal was won 3-1 at Feirense. Sporting Lisbon usually operates in a 4-3-3 system. Against Arsenal, the basic orientation was put a little more defensive, against the unsettled Villarreal, however, can be expected again an offensive style of play. Those are the Keizer-Elf like cut to the core. Sporting Lisbon is a “pressing machine” in the Portuguese league. After losing the ball, the opponent is quickly put under pressure. On average, the opponent can then only play 6.38 successful passes before Sporting has the ball again. This strong PPDA (passes per defensive action) can be an important detail in the home game on Thursday. With Captain Nani, Rodrigo Battaglia and Jeremy Mathieu Sporting has to do without three veteran. 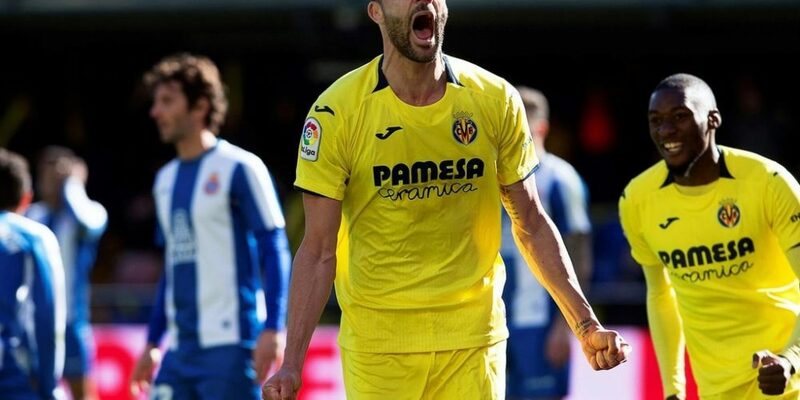 With only ten points, the yellow submarine from Villarreal could fix the group victory. In addition to three draws in the stranger were collected at home seven out of nine possible points. The Spanish Europa League specialist could not convince, but somehow it is still enough to score regularly. The Europa League is and remains the favorite competition of the Iberians. No other team has played more often in this competition (68 games) and scored more goals (116) than the team of Javier Calleja. Villarreal has reached the knockout round in all seven participations in the group stage so far. This year, this was the fifth time in a row. Just like Sporting Lisbon, the Spaniards have a balanced 3: 3 record in the round of the last 32! These successes on the international stage are also the only bright spots in this season. At national level, the threat of renewed decline. With only 20 points from 23 league games, the Spaniards place 19th. Just once three league games (!) Were won, while the residue on the saving bank already four counters. Accordingly, the focus in the coming weeks and months clearly the league. The descent would be for the previous year’s fifth an absolute super-Gau. The squad is far stronger than the current ranking says, but Villarreal slid through the many failures in a downward spiral. The yearning for success is clearly felt and the uncertainty as well. Even if there is a lot of raging in the Europa League, the lack of pressure could potentially be an advantage. With the existing quality at least goals could be expected. Between Sporting Lisbon and Villarreal are offered for the tip on the over 2.5 odds of 2.00. The weak results in the league are mainly due to the extremely weak duel balance. With just a odds of 40% won duels, the Calleja-Eleven presents itself in the duel man-on-man inferior. Also extremely weak is the PPDA value of the Iberians. On average, the opponent can play 11.69 passes until the Calleja-Elf regains the ball. This is one of the weakest scores in the entire league. To this end, the ball possession development is not surprising. Most recently, Villarreal, who was known for years as extremely strong game, had just under 40% ball possession. Nevertheless, chances were repeatedly created (average 11.9 shots per game). The two clubs from the Iberian peninsula will actually face each other for the first time in their long club history on Valentine’s Day 2019. Although both teams are regularly represented internationally, a duel has never been seen before. However, Sporting Lisbon has no fond memories of Spanish teams, having won only seven games out of 26 competitive matches! After all, the two teams are spared a long journey. Nevertheless, both teams will hardly call each opponent a wish. Although Villarreal operates underground in the domestic championship, the Spaniards are the favorite among the bookmakers for the knockout round of the last sixteen. Between Sporting Lisbon and Villarreal brings a tip on the entry of the Spaniards in the next round odds of 1.57! After three games without victory, the green lion from Lisbon managed the successful dress rehearsal! For the first time the two teams face each other in club history! The Europa League serves as a distraction to the drab league everyday life – in LaLiga threatens the yellow submarine, the descent! Based on the underlying statistics, the odds are a little surprising. Sporting Lisbon has a very strong home record, while Villarreal will not be in full squad. However, just the missing pressure could have a liberating effect. In any case, two teams meet each other with a strong offensive, which again and again develop many shots on target (both well over ten shots per game). Goals are accordingly expected, so between Sporting Lisbon and Villarreal the prediction for a tip to over 2.5 goals.